Last September a friend and I drove up the east coast of the United States, braving miles and miles of mind-numbingly unscenic scenery – trees, trees and more trees – into the eastern Provinces of Canada. My youngest was a few months old, so she came along for the adventure. Since high school, my friend and I have periodically watched the 1985 classic Anne of Green Gables together. A trip to the region had been on my “places to visit” list for nearly two decades. Shortly after the film was originally released, a copy found its way to where we lived in southern Mozambique. 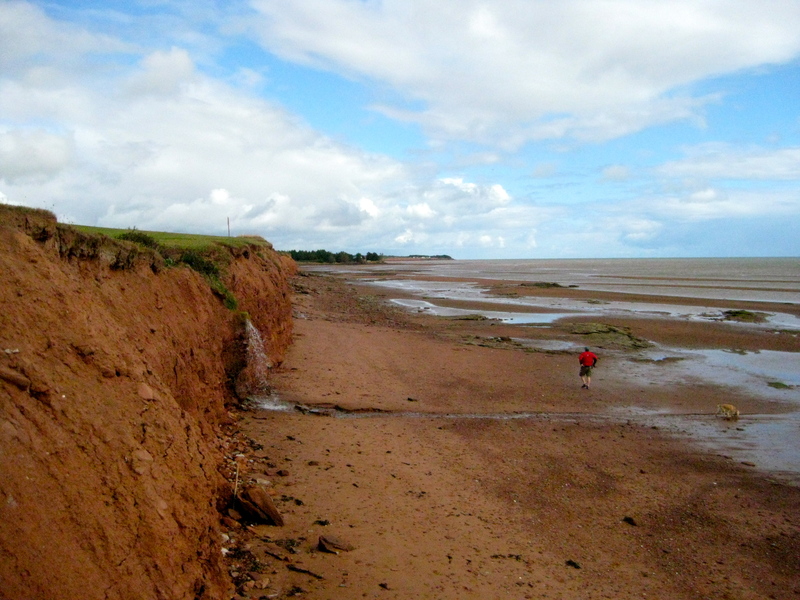 I vividly remember escaping to Prince Edward Island and adoring Gilbert at the tender age of ten. P.E.I. was worlds away from the hot living room where we sat on the floor in a semi-circle in front of the television, hoping the electricity wouldn’t go off – bandidos periodically bombed the power lines – and disrupt our visual escape. After visiting the island province, I realized there’s exceedingly more charm than what is portrayed in the books and film. Here are three takeaways, to be followed next week by Part II. 1. The Japanese love Anne of Green Gables. P.E.I. is a bit off the beaten path for many world travelers, so I was surprised at the great number of Japanese visitors we encountered on the island. Turns out, since 1952 L.M. Montgomery’s novel has been required reading for Japanese school children. Like me, they probably grew up fantasizing about the Lake of Shining Waters and a dress with distressingly opulent puffed sleeves. So then, I ask, why wouldn’t they be here? 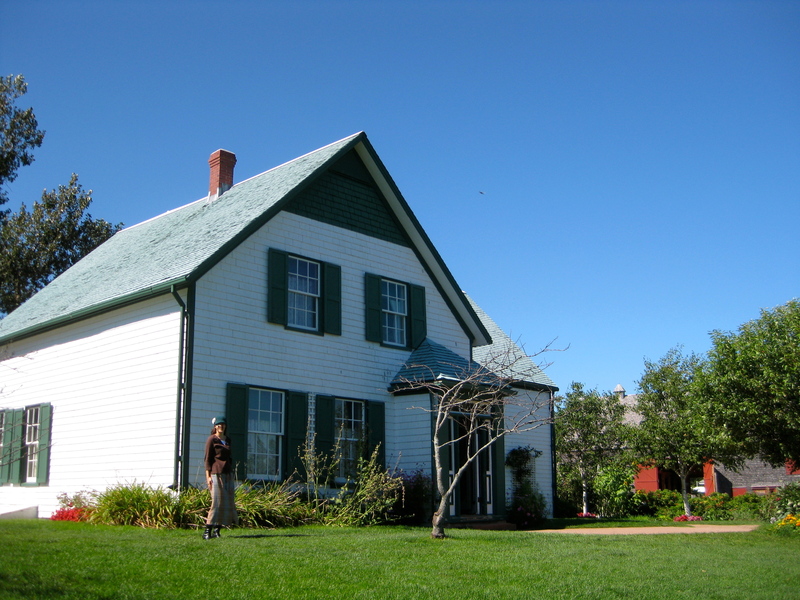 The simple home that inspired the setting of Montgomery’s classic. 2. 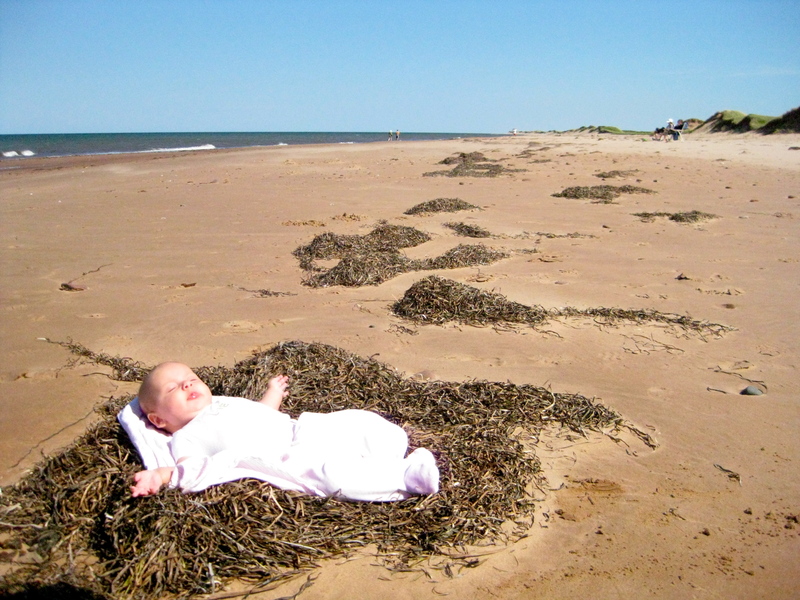 You’ve never seen beaches like these. I can’t vouch for the temperature of the water, but I can assure you the vast stretches of pure, clay-red sand is a delight to unshod feet and eyes ready to imbibe visions of unexpected beauty. Canadians spend an entire summer here for a “beach vacation.” I would. North shore beach with a few summer leftovers still basking in the sun. 3. Next time, I’ll bring a bike. The impossibly rich beauty is best taken in riding at an island’s pace on the miles and miles of well-kept trails. We watched in envy as families passed leisurely on their way while we sat in our car. We deliberated over the possibility of renting bikes, but couldn’t figure out a safe way to tote along my 3-month-old. 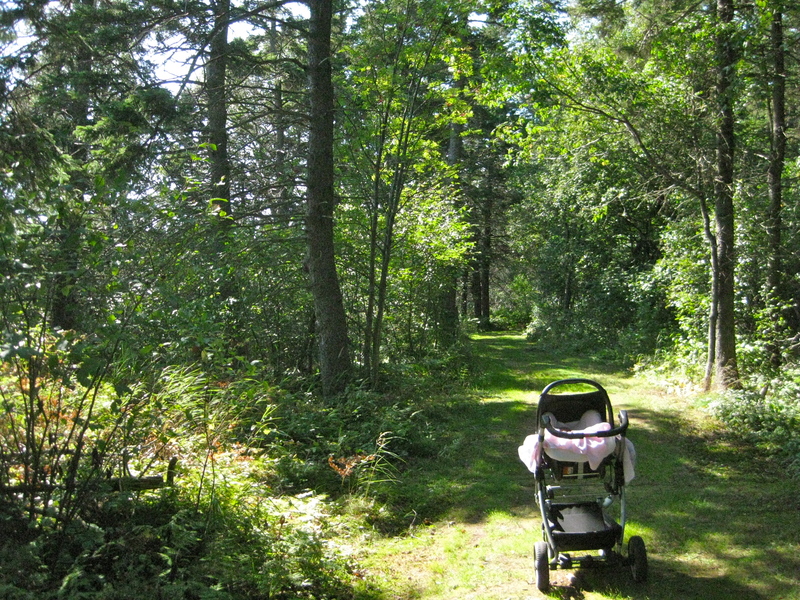 Alas, we decided to save biking for another trip, but still took advantage of a section of paved trail for a pleasant stroll through the woods pushing the stroller. Of the many trails available to cyclists and stroller-pushers, the Confederation Trail is the most notable . It is “comprised of an abandoned railway line that slices across the entire island and has been reconditioned as a cycle and hiker’s track in this geographical gem of sandy beaches, rolling hills, sapphire blue rivers and villages so impossibly quaint you’ll start baking muffins.“ I couldn’t agree more (about everything, particularly the muffins). Come back next Thursday to read Part II. I remember watching Anne of Green Gables on PBS as a child and getting so angry at the long breaks used to raise money for the station but that kept me away from Gilbert. Eventually I got the VHS tapes so I could watch it uninterrupted. P.E.I. is beautiful…you make me want to go. Ahh, yes. I hated those fundraiser interruptions too! So funny. I remember those Maputo Anne of Green Gables days!! After the exercise video (wasn’t it Stormie Omartian or someone like that?). That was probably one of the first movies I remember watching. Cool that you go to go see the actual sites! It’s funny because, though I read the books, my visuals are based on the movie. Come to find out most of the movie was filmed in Nova Scotia. Oh well. This is on my ‘must see’ list also! It’s so beautiful in the summer and there’s so much more to do and see than just “Anne” stuff. Oh Gilbert! He might be up there with literary “loves.”I loved this series growing up; I think I’ve read all of them (Anne of avolea was my favorite. )I don’t think that I realized/remembered they were set in Canada ( I read them so long ago). Beautiful pictures! Thanks. It was so fun to think about it all again and visit the places after spending so much time there in my imagination when I was younger.